If the computing industry was a stagnant pond in late 2009, the introduction of tablets a few months later was less akin to a pebble flicked from the shore and more like a boulder hurled from 10 feet up. The ripples have been widespread and lasting. And the rocks haven’t stopped dropping from the sky. With the introduction of compelling new tablets from Microsoft, Google, Barnes & Noble, and Amazon (which just announced new Kindles last week), 2012 is shaping up as the definitive “year of the tablet.” That means that the disruptions we’ve seen so far are just the beginning. Let’s look back at a few ways tablets have already shaken up the rest of the surrounding tech world, and what those disruptions can show us about the future. Netbooks, which in 2009 seemed to be the computing format of the future, have been one of the biggest casualties of the growing popularity of tablets. Rumors of the “death of netbooks” began soon after the iPad’s release in April 2010, and have continued ever since. Besides dropping sales, consumer interest in netbooks has also waned. Cnet’s Dan Ackerman put together a graph on netbook traffic that illustrates this point quite handily. More than 500,000 unique visitors viewed “netbook” pages on Cnet in December 2009, prior to the iPad’s introduction. In December 2010, that number had dropped to 300,000 visitors, while more than 800,000 unique visitors viewed tablet pages. Though Steve Jobs described netbooks as “cheap” devices that “aren’t better than anything,” he didn’t necessarily target them for destruction. Their decline was simply a natural consequence of growth in tablets. Adobe’s Flash, however, was a different story. Jobs’ distaste for Flash was so great that he wrote an open letter on the subject in April 2010 to outline the reasons that Apple had outlawed Flash on its mobile devices, and to encourage adoption of HTML5. There are many reasons for Flash’s decline in favor of HTML5. Two of the biggest persuaders, however, had to have been Steve Jobs and iOS. Following up 18 months after what he described as Jobs’ “essay,” the Wall Street Journal’s Don Clark wrote in November 2011 that “HTML5 is rapidly winning over the Web.” At that time, 34 of the 100 most popular websites were using HTML5. Analysis from W3Techs.com suggests that HTML5 has surpassed Flash even at that rate of adoption. At the time of writing, 22.8 percent of Alexa’s top 1 million websites use Flash. This is a decrease from about 27 percent from a year prior. With the ever increasing popularity of iOS and HTML5, it’s unlikely that this decrease in the use of Flash can be reversed. Though Adobe’s Flash has taken a hit from tablets, other Web services companies are prospering. Take Dropbox, for example. To borrow an oft-used metaphor, Dropbox is the glue that keeps my digital life together — especially on my iPad. In fact, Dropbox delivered the outline for this column from my iPad to my MacBook Pro. It did so as it always does: quietly, reliably, and with beautiful simplicity. Others must agree with my love of Dropbox: The service has grown explosively in the weeks and months following iPad’s introduction. In the early months of 2010 just before the iPad arrived, Dropbox reported only 4 million users. Just a little more than a year later, in April 2011, it had reached 25 million. As tablets hit their stride in November 2011, that number had ballooned to 45 million. There are other reasons for Dropbox’s growth, of course. The company has a highly-successful viral marketing strategy, and their service is vital in a number of use cases beyond tablets. But, what else happened while Dropbox was experiencing its explosive growth through 2010 and 2011? Apple sold millions of iPads — 7.33 million in the first quarter of 2011 alone. Many of those purchasing iPads discovered a need for cloud storage for the first time in their computing lives. The importance of Dropbox (or one of its competitors) to tablet usage means that tablets will be a big driver of growth in cloud storage. I guess Dropbox CEO Drew Houston wasn’t kidding when he said the company was just getting started. Dropbox isn’t the only cloud service making hay as tablets come to dominate. A combination of small solid-state hard drives and abundant wireless Internet connections has seen several streaming media services positioned for major growth in the tablet economy. Take Netflix, for example. Netflix is a magical experience on iPad. Its design is fantastic, and the app is so responsive during use, that it’s easy to forget that it’s a Web application. Not surprisingly, Netflix subscriptions have boomed alongside tablet growth. Netflix reported 23.9 million streaming customers in the second quarter of 2012, up from 21.5 million less than one year earlier. The availability of great Netflix apps for most tablet platforms (sorry, Blackberry Playbook) indicates that Netflix sees a major opportunity in this segment. 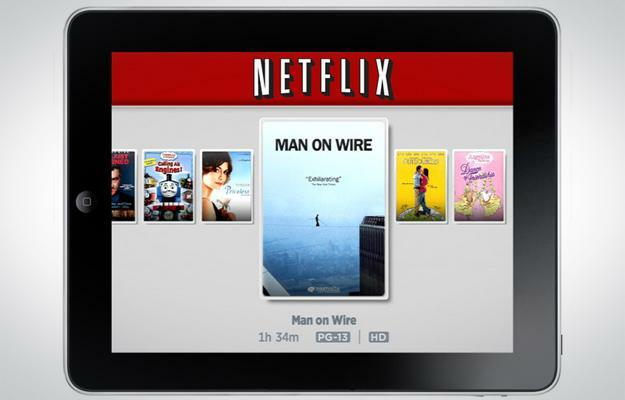 The strength of its brand and quality of its execution have Netflix poised to make a fortune from tablets. That Netflix hasn’t seen more growth from tablets may be due to the strength of its competitors. Hulu Plus has grown rapidly since its release in November 2010. In April, Hulu announced that its subscription service had reached 2 million subscribers, double the 1 million subscribers number that Hulu revealed in a blog post from October 2011. Though Hulu doesn’t offer an experience as polished as Netflix, it does have content that Netflix lacks. Due to this, Hulu will continue to see growth from tablets, and will continue to be an important player in the video streaming space. These aren’t the only ways that tablets have changed the computing economy. Desktop operating systems are now borrowing design elements from tablets — Apple’s Launchpad and Microsoft’s Modern UI interfaces both reek of “tabletification.” It’s clear that both Apple and Microsoft view tablets as the future, and are doing everything they can to move consumers towards that future. In that future, tablets will continue to have more and more surprising effects on the industry. These effects may be worrisome for companies like Intel that make their profits on desktops and laptops, but for the rest of us, tablets will continue to make using tech more convenient, affordable and entertaining than ever before. Imagining the iPhone 5: What will it take for Apple to set the bar yet again?